Fall is here and the leaves are beginning to fall and create a lot of work for homeowners. 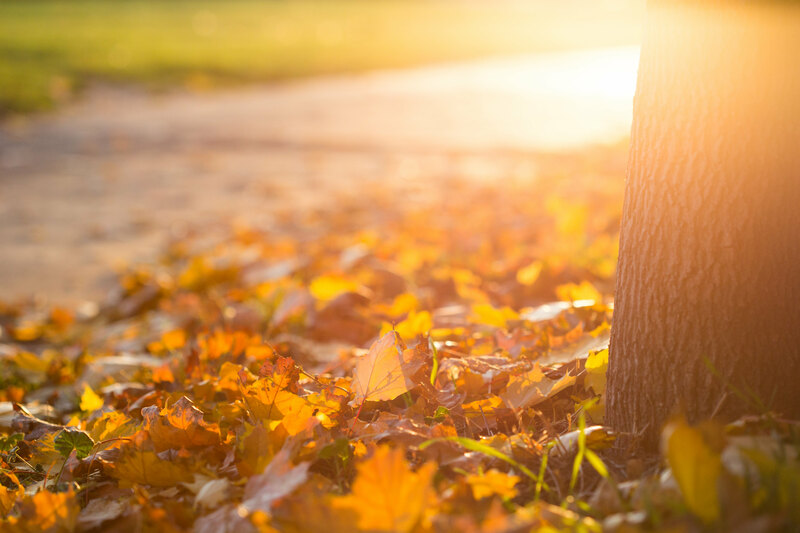 Fallen leaves can be a nuisance and harmful to your lawn if left untouched. Leaving wet and fallen leaves on your lawn can harbor bacteria that can live all winter and give your grass diseases, as well as block important sunlight and airflow from your grass, possibly killing your lawn. Did you know that leaves can be taken away and composted? The action of composting leaves prevents the leaves from sitting in a landfill or gathering on your lawn, aiding disease. Yard waste is the largest single component of generated municipal solid waste by weight, that sits in landfills. This is a wasteful process when considering the other more suitable and sustainable options. Many people blow leaves into the street for pick up. However, leaves blown into the street and left can become quite dense and can clog storm drains. This may cause localized flooding in your street, yard, or even your basement. It is best to have leaves taken away immediately after raking or blowing them into the street. Most leaf removal companies dispose of their leaves in a manner that causes the leaves to sit in landfills. There are many reasons that you should have your leaves taken away for compost. 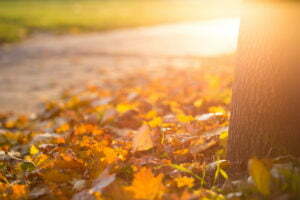 When leaves break down, they become a rich, organic soil-like material that is beneficial for a top dressing or mulch. This topdressing will help to increase the growth of your lawn. Not only that, but when applied as a top dressing, composted leaves can be a great weed deterrent. Those who use composted leaves as an organic fertilizer, have less weeds in general the following year. Disposing of your leaves without composting may be wasteful as they end up contributing largely to landfills. Why add leaves to landfills when they can play such an important part in composting? Professional composting is also important. Composting comes down to a science and if not practiced often, can be tricky to do at home. Compost can begin to grow bacteria, making the compost unusable. The action of composting leaves prevents the leaves from sitting in a landfill or gathering on your lawn, aiding disease. Having your leaves bagged and taken away for professional composting is a great way to maintain a sustainable lifestyle, while helping the environment and creating all natural, chemical free compost topdressing and mulch.